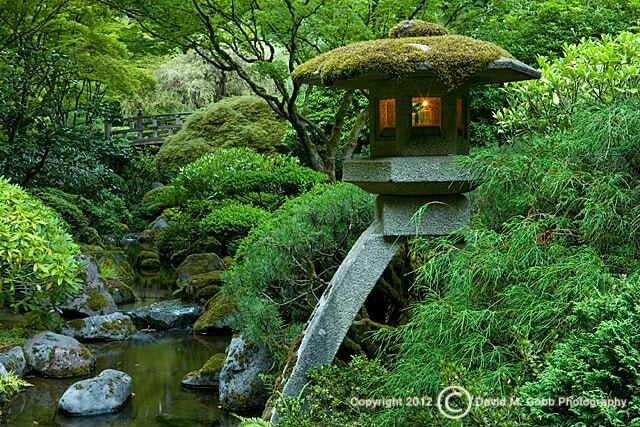 Nestled in a serene nook of Portland, Oregon’s Washington Park sits the beautiful Portland Japanese Garden. This is a photo gem at any time of year, so I return to the Garden often to photograph the changing of the seasons. There are five different gardens within the Portland Japanese Garden: the Sand and Stone Garden, the Strolling Pond, the Natural Garden, the Flat Garden, and the Tea Garden. As with all garden photography, I look for leading lines. These can be found in the many paths throughout the Garden, including the small brooks in the Natural Garden or near the Strolling Pond. Details are to be found too. Whether it is a grouping of maple leaves or round stones near the Pavilion, this is a great garden to notice the little things. Spring means lovely color in the Garden, with a host of azalea blooms around the Flat Garden, Strolling Pond Garden, and the Natural Garden. Of course cherry blossoms are a huge draw for any Japanese garden, and there are a variety of different blossoms here to photograph. The various shades of green in the Garden are also a sight to see and to photograph. 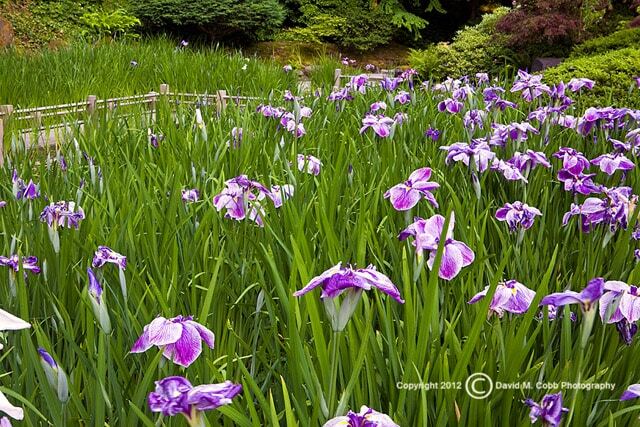 Summer’s iris blooms are my favorite to photograph – as well as the traditional Zig Zag Bridge. The June wisteria clinging to the arbor is also on my list to capture. The hours of the Garden are extended, so take advantage of the beautiful evenings while watching the light change on the borrowed scenery of Mount Hood and downtown Portland. 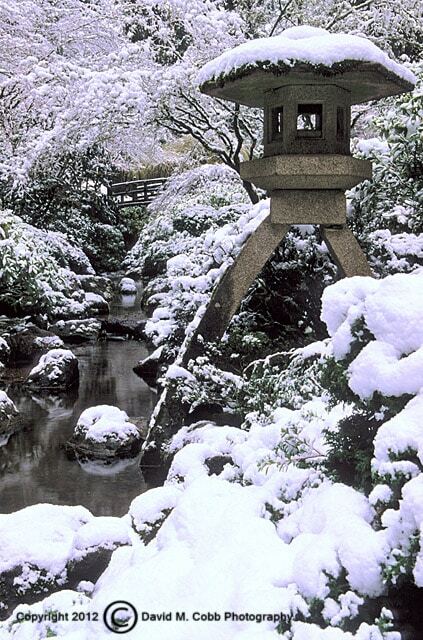 Winter reveals the essence of the Garden, and if you’re lucky you’ll catch it under a soft layer of snow. In the early part of the year, you can photograph the camellia blossoms. I also enjoy photographing the soft raindrops on the barren branches. A tripod helps here. (You’ll need to pay the tripod fee if you’re not a member.) I always bring a polarizer to this Garden even on cloudy days, to pop the color and eliminate leaf reflections. A flash is helpful when photographing the lanterns, and will bring needed light to the shadows cast by the lantern’s hood. 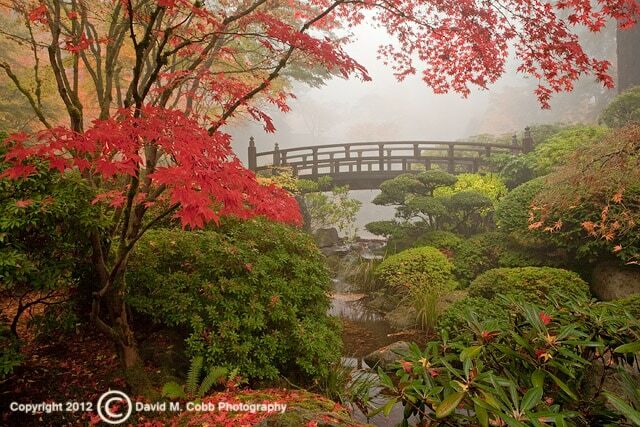 There is much to shoot at the Portland Japanese Garden at all times of the year. The photographer will notice that every season is vastly different from the next, so return again and again and you’ll find many photographic rewards. The photo membership program also allows entrance during member-only hours every month, when special times are set aside for photo members to photograph either early or late in the day depending on the time of year. And the ability to photograph the lit lanterns at night is worth the price of the photo membership alone. 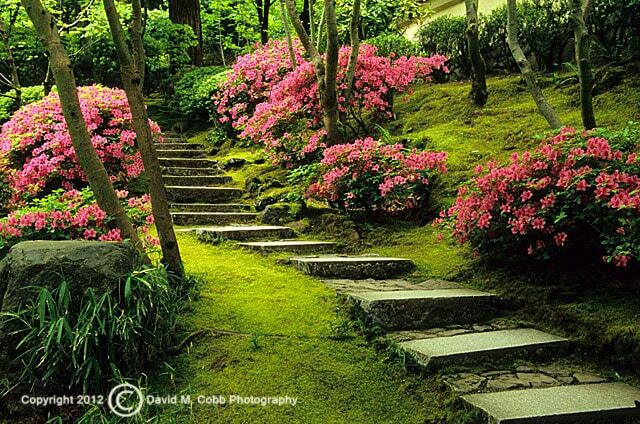 So enjoy the peace of mind the Portland Japanese Garden can bring, and let it influence your photography too.